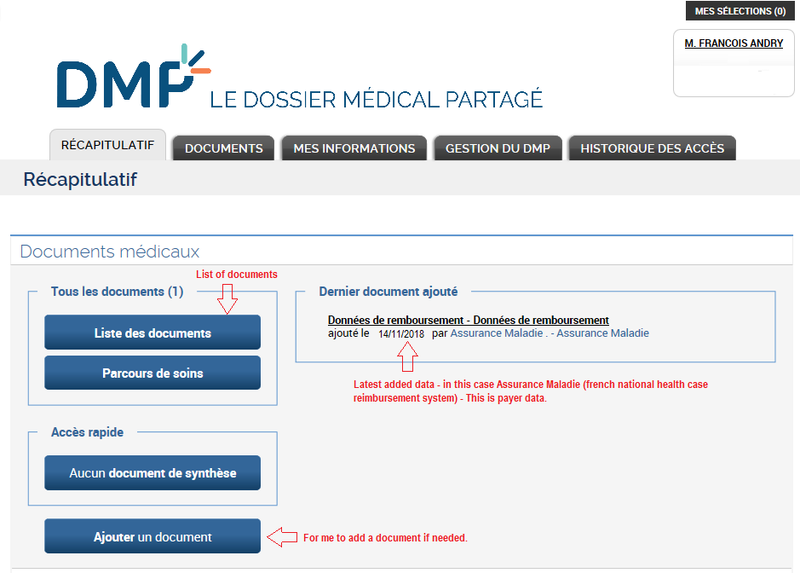 Since November 2018, each French patient can have access to a new national Patient Health Record (PHR) called in French the Dossier Médical Partagé or DMP (shared medical file). How does it work from an end-user perspective? 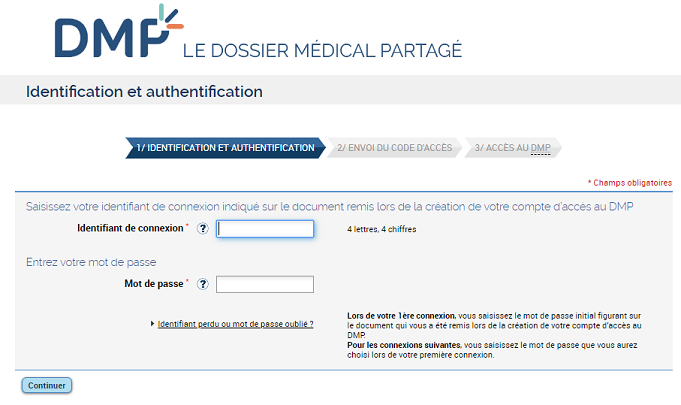 In this post, I describe my first experience with this new healthcare application - with all security and privacy precautions related to my protected health information (PHI). I have seen several large scale initiatives starting (e.g. Microsoft HealthVault, KP/MyHealth Manager) with some initiatives including GoogleHealth who was abandoned for some time and was reborn in another form as Google Cloud for Healthcare. I have been working in the medical data integration and processing field for many years now and even share a patent in this domain. 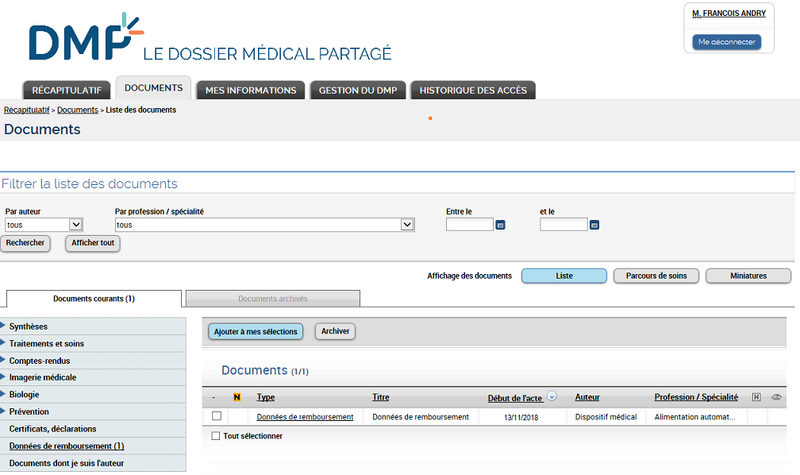 By experience, I know that the most difficult part is not to design and create a scalable and secure structured medical repository, but to make sure that it is supplied with up-to-date and relevant data. I have a good knowledge of HL7, IHE profiles and other data integration standards and I recognize the complexity of acquiring and reconcile medical data to be used by healthcare professionals. 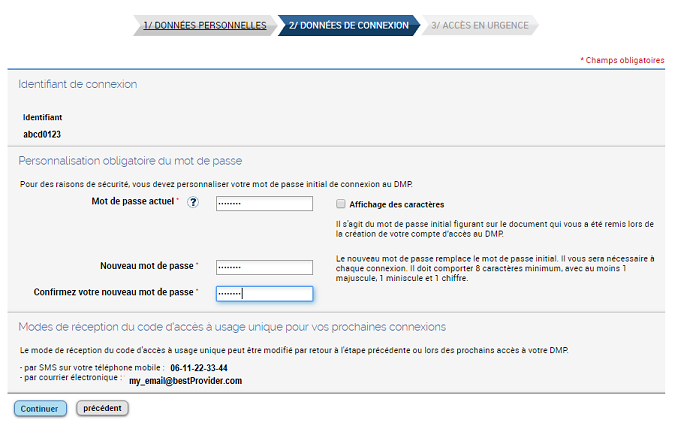 First, let’s start with the creation of my DMP. 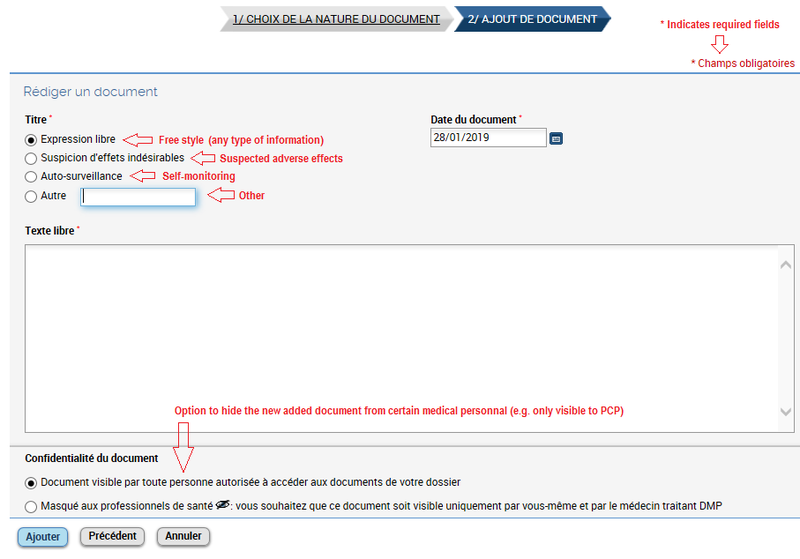 There are several options to create a national PHR/DMP in France. 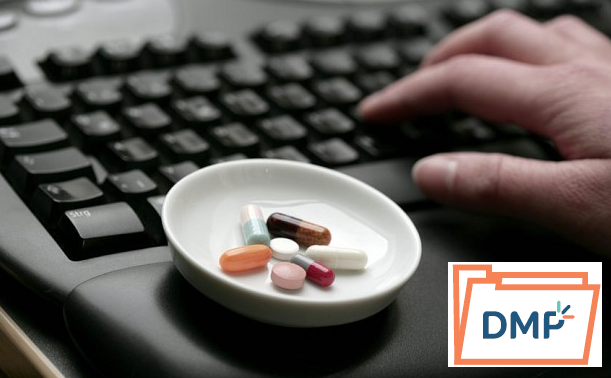 The first one is to ask a pharmacist to create it for you, the second option is to initiate the creation of the DMP yourself. This is the later I have chosen. 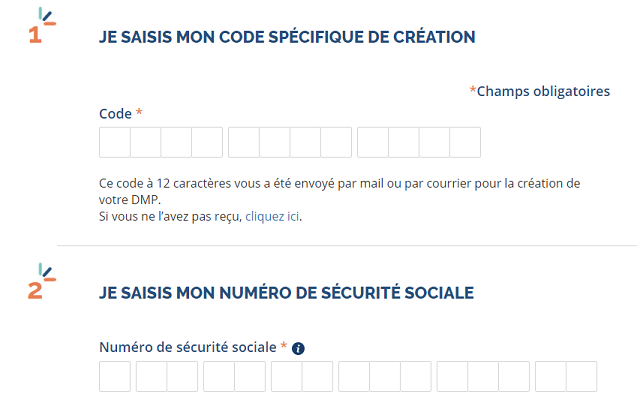 From the main DMP web site creation page https://www.dmp.fr/patient/creation/etape1, I was able to create my account in few minutes after providing a specific creation code generated by dmp.fr and my social security or INSEE number (the main personal ID for patients in France). 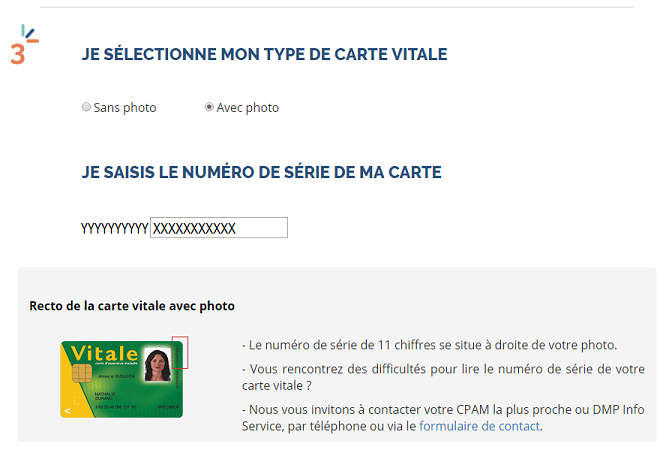 I also need to add a 11 digit number that is located on my Carte Vitale, the health insurance card of the national health care system in France. 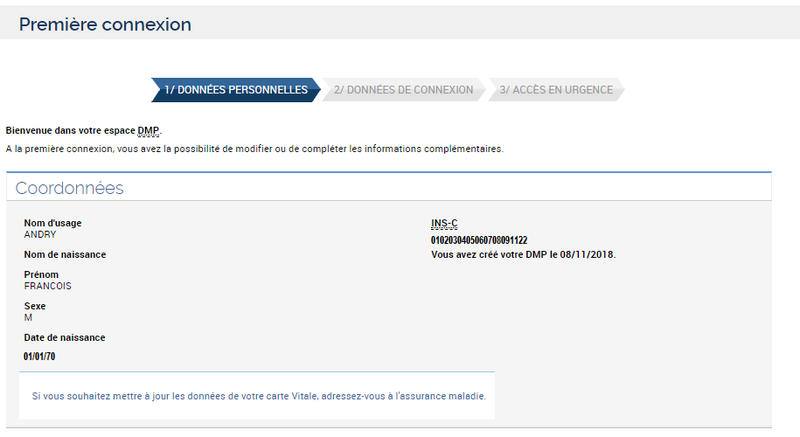 and my account is created (credentials have been modified for obvious reasons). 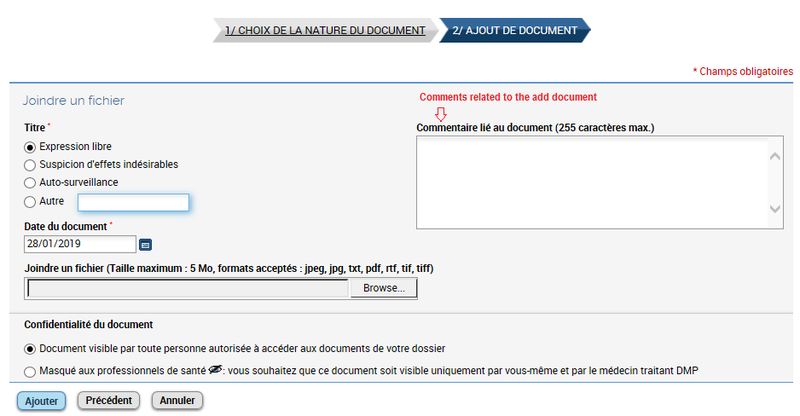 Overall the experience of creating my DMP/PHR account was quite easy and without any particular problem. 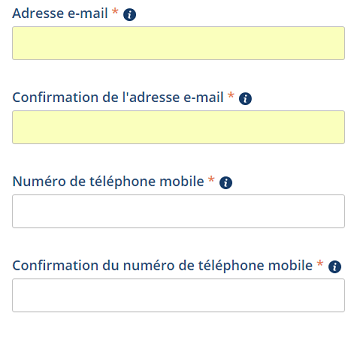 It was fast and secure. 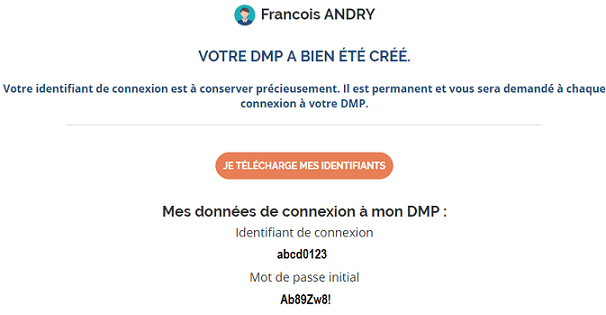 The initial performance of the application seems good, having in mind that this is just the beginning and that only a small number of patients of the French population have a DMP account. 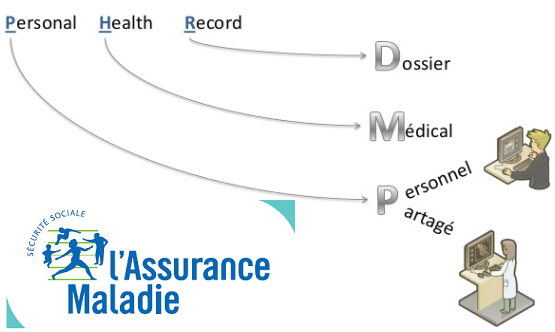 In my next post, I will explore the functionalities and the type of data that could be part of a DMP.